I am kicking myself right now. I was suppose to have posted this weekend blog yesterday to fit in with my routine of posting every other day, but I went out last night for a meal with some friends and didn’t get back to my apartment until almost 2am. I certainly wasn’t prepared for a night on Mathew Street but that’s what happened. And so I’m having to post this now. Ah well. I can’t believe how quickly this week has gone. It’s flown by. The weather has been delightful, and I’ve been trying to enjoy it as much as I possibly can considering that I don’t have a garden or a balcony. This normally ends up getting expensive as I usually find myself sitting outside a Costa Coffee sipping on a fruit cooler. My bad. 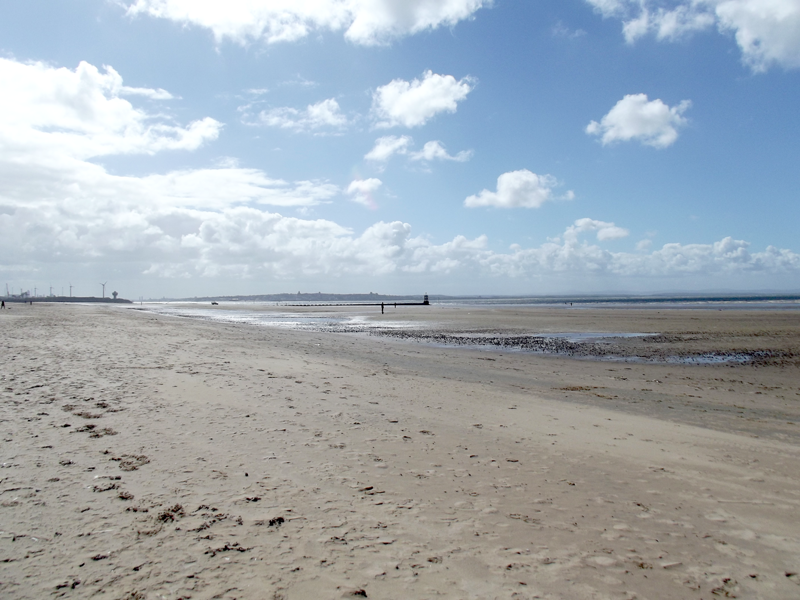 On Wednesday my friend Becky came up to Liverpool to visit, and we caught the train to Crosby beach. 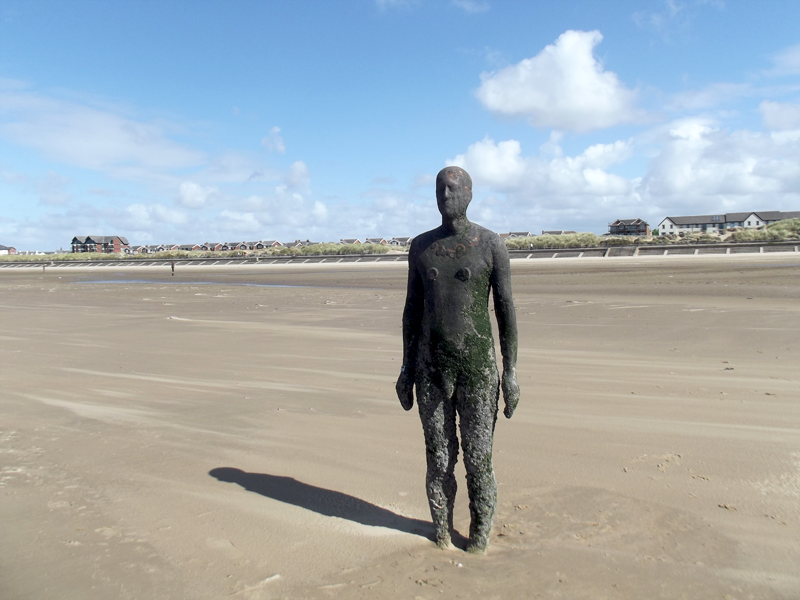 Crosby beach is home to Antony Gormley’s Another Place; a piece of modern art with 100 statues along 2 miles of beach. It’s certainly something special to see. I didn’t take my camera because I didn’t want to have to carry it around the shops in Liverpool afterwards, so these photographs are from a previous visit, and so were taken with my old camera. As I haven’t been up to much else this week, I though I’d use this opportunity to tell you about what is going on in terms of the blog. Well, I’m blogging every other day, which is going really well so far. I’ve created lots of schedules to help keep me organised, and I’m finding that planning and writing my posts in advance is really helping me to keep on track. I’d like to take this opportunity to thank all my readers for sticking with me as I diversify the type of blogs I write at empfire. I was getting bored of just writing about my personal life, because lets face it, life isn’t always exciting. I want to be able to write about a wide range of topics that I feel will be interesting or useful to others. I certainly wouldn’t want to just blog about one specific topic, because that’s boring too. However, I will still be writing about my personal life in The Weekend Blog (posted on Saturdays or Sundays) because I think it’s important that we show we are human from time to time. I realllly want to see the Antony Gormley sculptures. I love his work, I’m hoping to get up to Liverpool for the Biennial so if I do I’m definitely gonna visit. Ah, the Biennial is great! I love seeing all the art around the city. It’s on until October, I think. Don’t feel too distraught over missing something you planned or scheduled on your blog! As I mentioned in my latest post, I missed Fashion Friday but it’s no big deal. Also if you care that much, you can always backdate the post, which I do sometimes. I know it is kind of cheating but if it is only a few hours late or half a day, I sneakily change the date. The sculptures look and sound really cool. Hopefully one day I can see them “in the flesh” (lol sorry could not help it). I like the personal aspects of blogs too. I enjoy finding out more about the person behind the blog than what is on their about page. The weather has been amazing, hasn’t it? I’ve been stuck in work every day, leaving for work just as the sun rises and not getting back til about six in the evening, but I’m loving the glimpses I get at lunch time! Crosby beach is great, but dangerous! I’ve had a terrible time getting stuck in sinking sand there on a uni trip. Looking back now it was really funny but at the time I thought I was going to die! Congratulations on surviving surviving Mathew Street! Many a memorable night has been made there! I’ve heard about the quick sand at Crosby beach but fortunately I’ve not come across it, yet. Mathew Street is probably my favourite place in Liverpool because of the Cavern club and pub, but I’m not really a fan of anywhere else down there. Thank you. 🙂 I think when you are passionate about something it’s a lot easier to write about it. I’m sure you will get back on track soon.